Then GST rate was introduced in India in 2017 it was three main rates 5%, 12% and 18%, but lately luxury 28% rate was used more widely. So luxury rates was also added to our Indian GST Calculator. It took almost 17 years to introduce GST in India, but at last it was launched. It is probably the biggest tax reform since 1947 then India become gained independence from British Empire. GST will replace multiple taxes levied by the central and state governments in India. 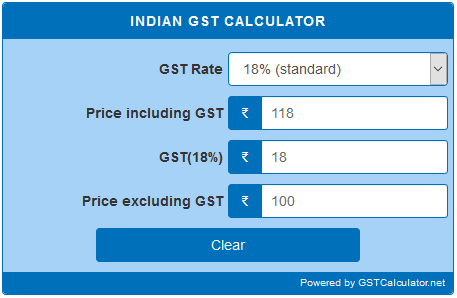 Use this free Indian GST calculator to calculate GST in India.